Vaccine production methods have varied greatly over the years and are best discussed according to a parallel chronological and sophistication approach. In this method, the normal pathogen is treated with a strong, denaturing disinfectant like formaldehyde or phenol. The process denatures the proteins and carbohydrates that are essential for the organism to live and infect a host, but if treated properly, the surface antigens are left intact. The process must be done carefully to control the unwinding of proteins or carbohydrates by denaturation, because the preparation must be recognized as the original antigen. The main problems with killed pathogen vaccines are the following: (a) if the vaccine is not inactivated totally, disease can result; (b) if the preparation is overtreated, vaccine failure usually results because of denaturation; (c) the production laboratory must grow the pathogen in large quantities to be commercially useful, putting laboratory technicians at risk; and (d) the patient may experience abnormal and harmful responses, such as fever, convulsions, and death. 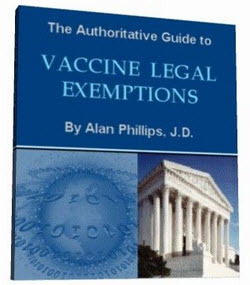 These vaccines typically are viewed as "dirty" vaccines, and some, like the pertussis vaccine, have been associated with problems serious enough to warrant their temporary removal from the market. The word attenuated for our purposes simply means "low virulence." The true pathogen is altered phenotypically so that it cannot invade the human host and cannot get ahead of the host's immune system. Low-pathogenicity strains such as these were originally obtained by passage of the microbes through many generations of host animals. The idea was that the animal and the pathogen, if both were to survive, needed to adapt to live with each other without either partner being killed. Poliovirus is attenuated in this fashion in monkey kidney tissue. In a live/attenuated vaccine, anti-genicity is still required, as is infectivity (polio vaccine yields an infection), but the host's immune system must be able to stay ahead of the infection. The key problems are the following: (a) the vaccine cannot be used if the patient is immunocompromised, has fever or malignancy, or is taking immunosuppressive drugs; (b) these vaccines should not be used during pregnancy; and (c) the attenuated organ ism commonly reverts to the virulent strain, which was the reason for the failure of some early polio vaccines. Today, biological quality control is very stringent, and these problems have been eliminated. The live/attenuated related strain is antigenically related so that it can provide cross-immunity to the pathogen. For example, cowpox virus can be used in place of smallpox virus. The strains are antigenically similar enough so that the host's immune system reacts to the related strain to provide protection against the normal pathogen. The main advantage is that a true pathogen is not being used so that the chance of contracting the actual disease is zero. The problem with such vaccines is that they cause an infection. Cowpox is known to spread to the central nervous system in 1 in 105 cases, causing a potentially fatal form of meningitis. The surface antigen (i.e., what is recognized as foreign) is harvested from the pathogen, purified, and reconstituted into a vaccine preparation. These antigens can take several forms, including the carbohydrate capsule, as in Neisseria meningitidis; pili, as in N. gonorrhoeae; flagella from motile bacteria (the basis for an experimental cholera vaccine); or the viral protein coat, as in the vaccine for hepatitis B. Advantages of the method are that there is virtually no chance of disease, contamination, or reversion and there are no storage problems. This method is currently as close to a "perfect approach" as we have. A problem is that the pathogen must be grown under careful control or an unsure source must be relied on. For example, hepatitis B vaccine was originally prepared from the serum of a controlled population of human carriers. Imagine the impact if one of the carriers developed another blood-borne disease. Additionally, these are strain-specific antigens (e.g., N. gonorrhoeae may require 1,500 different pilar antigens). Acellular vaccines may exhibit lower antigenicity in the very young and may require several injections for full im-munological competence. To be safe and consistent, the antigenic component must be identified. Given the complex nature of biological materials, this is not always easy or even possible. Figure 5.10 • Preparation of a genetically engineered Ab. endonuclease, which cleaves the DNA and plasmid at designated restriction sites. The viral DNA is cleaved into several fragments, each of which is ligated into the E. coli plasmid with a ligase enzyme. Plasmids are inserted into E. coli, and the organism is grown in batch fermentation. The organisms containing the gene for the viral surface protein can be separated by screening and purified to serve as the ultimate antigen producer—free of contamination or pathogenic viral particles. The pure antigen may then be constituted into a vaccine and used in human hosts. 1. A simple vaccine contains one strain of a disease-causing organism (e.g., plague vaccine, Pasteurella pestis, and smallpox vaccine). 2. A multivalent vaccine is prepared from two or more strains of an organism that cause the same disease (e.g., polio is trivalent). Administration of the multiple strains is required for full protection because their antigens are not cross-immunizing. 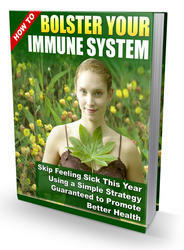 The immune system must mount a separate immune response to each strain. mumps-rubella (MMR) vaccine is of the polyvalent type. 1. A single-dose vaccine is usually assumed to confer, with one shot, "lifetime immunity." The smallpox vaccine was a single-dose vaccine. 2. In a multiple-dosing regimen, several doses are given, spaced weeks or months apart, to get maximum immuno-genicity. Multiple dosing is usually done with inactivated vaccines, which are less antigenic. Multiple dosing is not the same as a booster dose. 3. A booster dose is administered years after the initial immunization schedule (regardless of single or multiple first dose). As a patient ages, Ab levels may wane. A booster is used to bolster immunity. Also, boosters are used if a patient is known or suspected to have been exposed to a pathogen (e.g., tetanus). 4. A coadministered vaccine is possible only if one vaccine does not interfere with another. 5. There are two physical forms of vaccines: A fluid vaccine is a solution or a suspension of the vaccine in saline of an aqueous buffer; the solution or suspension in an adsorbed vaccine is adsorbed on a matrix of aluminum or calcium phosphate. Like a sustained-release dosage form, in theory, there is longer exposure via a depot injection. The higher surface area of the matrix will be exposed to the immune system. Generally, adsorbed vaccines are preferred. As expected for a live biological preparation, heat destroys live viral and bacterial vaccines. If the agent is not killed, the antigen may be altered. Like many biologicals, lyophilized vaccines are unstable after reconstitution. Ice crystals formed inside the protein structure during freeze-drying expand during thawing and disrupt the structure of the vaccine. Live vaccines can be inactivated by minute amounts of detergent. Detergent residue adhering to glassware is concentrated enough to act as a disinfectant. It is safe to use only plastic implements specified for the vaccine. The suspending medium may be sterile water, saline, or more complex systems containing protein or other constituents derived from the medium in which the vaccine is produced (e.g., serum proteins, egg antigens, and cell culture-derived antigens). Concentrated Ab suspensions (y-globulins) are typical amphiphilic proteins and aggregate on storage. If injected, the particulates may cause anaphylaxis. Preservatives may be components of vaccines, antitoxins, and globulins. These components are present to inhibit or prevent bacterial growth in viral cultures or the final product or to stabilize the antigens or antibodies. Allergic reactions can occur if the recipient is sensitive to one of these additives (e.g., mercurial compounds [thimerosal], phenols, albumin, glycine, or neomycin). Failure to follow the exact recommendations for storage and handling of immunobiologicals can lead to an impotent preparation. During reconstituting, storing, and handling of immunobiologicals, the most important recommendation is to follow the package insert exactly. Vaccines should always be stored at their recommended temperature. Certain vaccines, such as polio vaccine, are sensitive to increased temperature. Other vaccines, such as oral polio vaccine, diphtheria and tetanus toxoids, and acellular pertussis vaccine, hepatitis B vaccine, influenza vaccine, and Hib conjugate vaccine (Hib-CV; among others), are sensitive to freezing. What the methods of vaccine production?